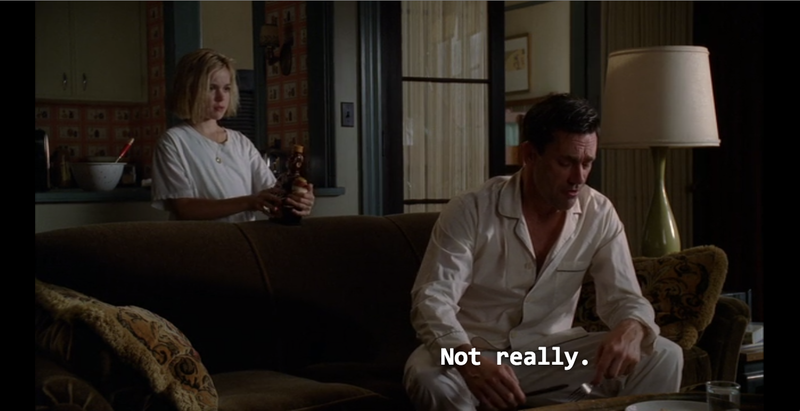 One of my favorite episodes of Mad Men is “The Beautiful Girls” (Season 4, Episode 9). There are so many things I love about this particular episode, but I love Sally’s scenes the best. I love any Sally-centric episode, really. She’s my favorite Mad Men character, because without going into years worth of details probably best saved for a therapist, I am Sally. 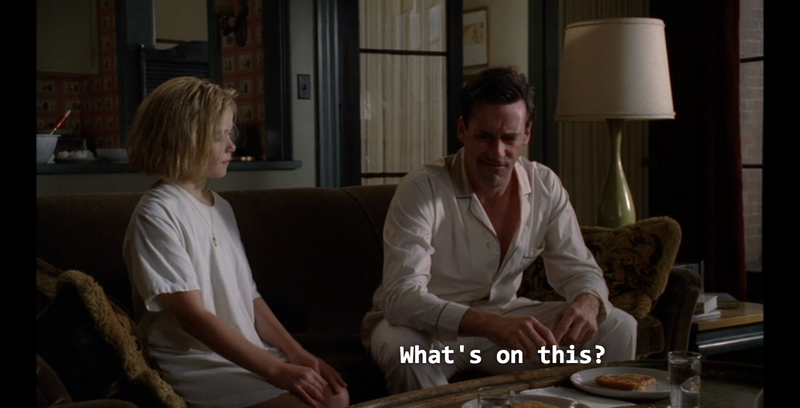 Her scenes with Don always remind me of my relationship with my dad, and this scene is no exception. My dad is actually the one who taught me how to make French toast. Thanks dad! Anyway, back to the food. 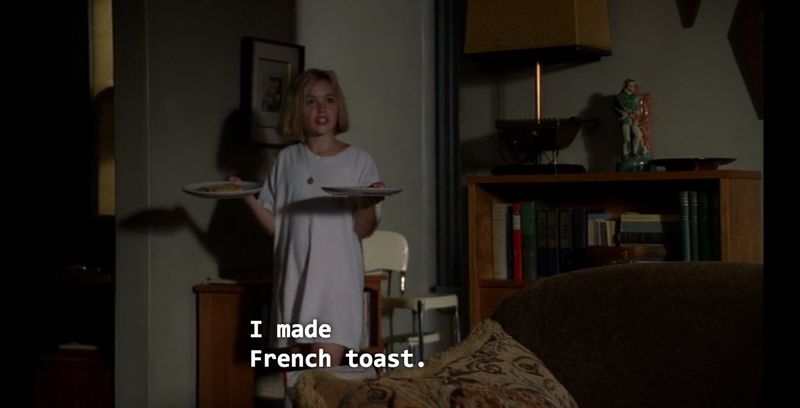 Sally spends the night at Don’s apartment and in the morning he wakes up to her cooking french toast for him. 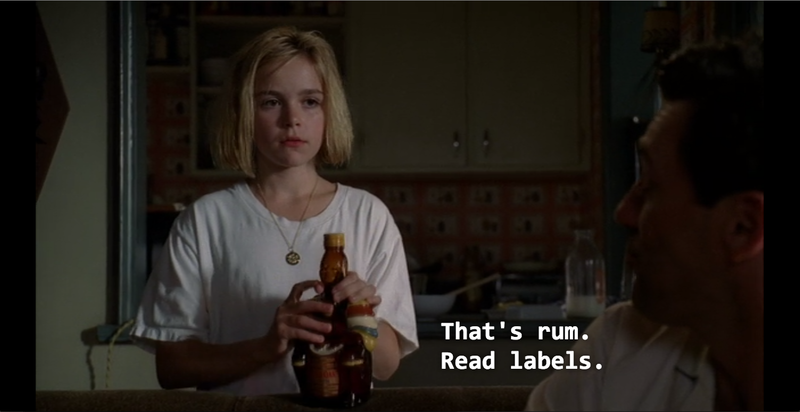 She thinks she put Mrs. Butterworth’s on it but it’s RUM. Oh Sally. She doesn’t know it but she’s a culinary genius. Don is right. It isn’t bad. It’s actually quite delicious. 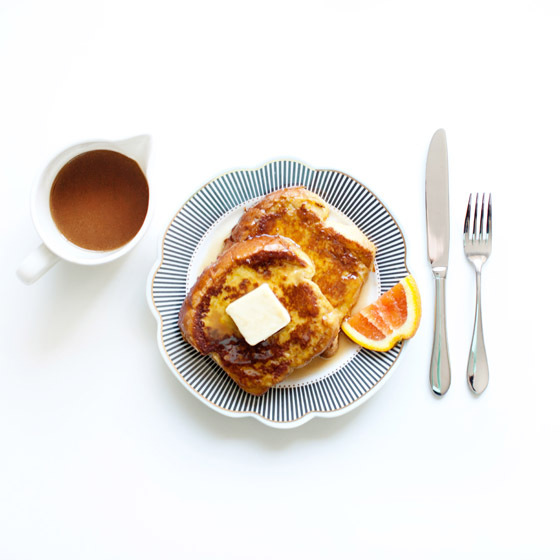 You might not want to just pour rum all over your french toast, because that might raise some red flags about your relationship with alcohol, but rum sauce is perfectly fine. Here’s how to make it. In a small sauce pan, bring sugar and cream to a simmer. Stir in rum and butter, bring to a simmer. Remove from heat. Serve over french toast. I got challah from Canter’s and cut it into thick slices. Thick cut challah makes the best french toast. It soaks up a lot of the egg mixture so when you cook it the middle stays fluffy and the outside gets crispy and brown. Yummmm. 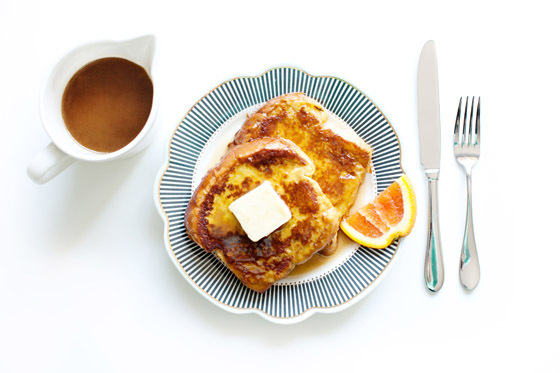 You probably know how to make french toast, but just in case. Here’s how I like to do it. Whisk together the eggs, cream, and orange zest. Place bread in the mixture and let it soak for a few seconds on each side. Cook in a pan with butter. New favorite breakfast ever. Thanks Sals!